• You should sit with your eyes level with the top of the computer screen so you look slightly down onto the text. • If you are on a lap top, consider setting the laptop up on books so the height of the screen is correct. 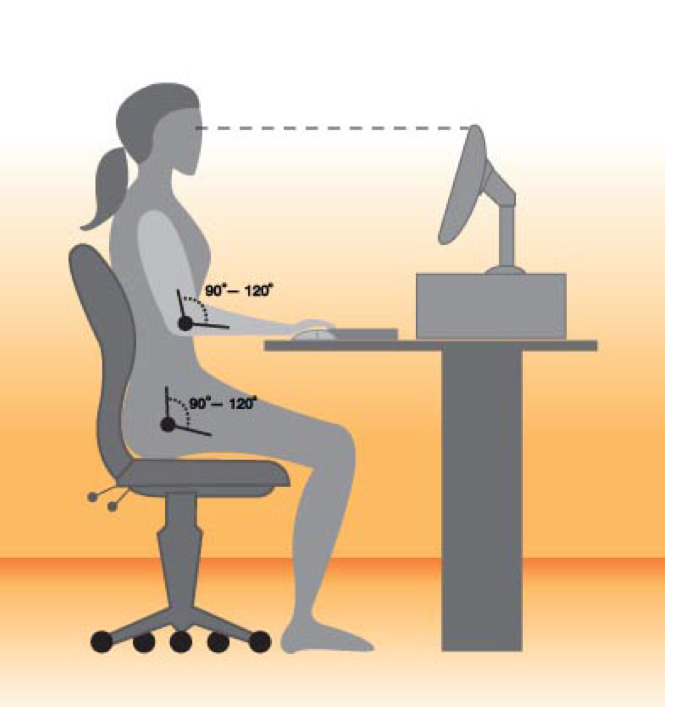 Then have a separate keyboard to ensure your shoulders and arms are in a good position. • Hips can be slightly higher than knees but definitely no lower. • Feet should be flat on the ground – only use a foot rest to correct to this position and when you use the rest, keep your feet flat on it.